The Byron School of Art Ralph Woodford Residency is a residency program for contemporary artists working in a range of disciplines. 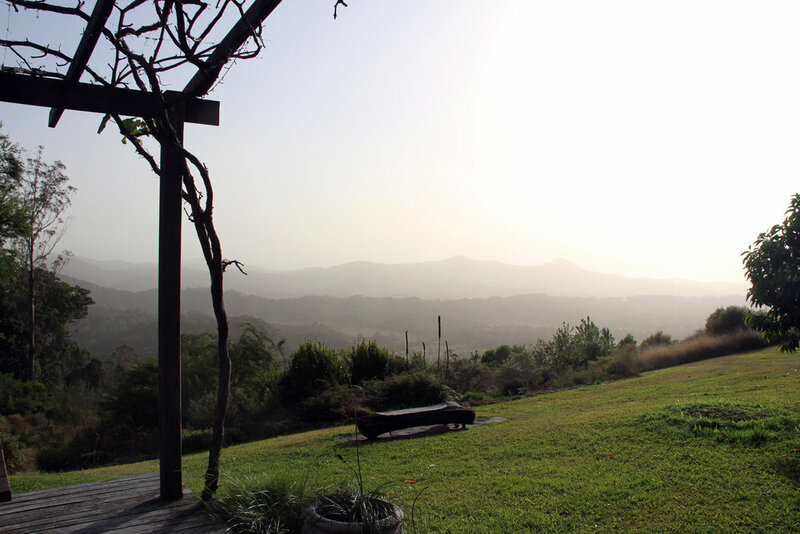 Artists are provided with accommodation and a studio space located in the Byron Bay hinterland. The quiet, idyllic location provides a contemplative living space and studio for artists to work and carry out research away from the ongoing commitments of everyday living. This new initiative aims not only to foster and support artistic development of individual artists, but also to bring critically engaging contemporary work to our community and to the Byron School of Art (BSA). The BSA Ralph Woodford Residency Program began in 2018 with resident artists to date including Andrew Browne, Brent Harris, Sam Shmith, and Judith Eisler. Residency Model This residency is a fee paying model where artists may apply to stay for up to 1 month, with fees covering administration and a nominal accommodation charge. Applications are assessed by a panel, based on artistic merit and cultural benefit to the community. The BSA Ralph Woodford Residency recipient will have the opportunity to engage with our students as well as our vibrant regional arts community through possible workshops, exhibitions or artist talks. In turn, BSA students will have the opportunity to engage with Australian and international artists who participate in this program. 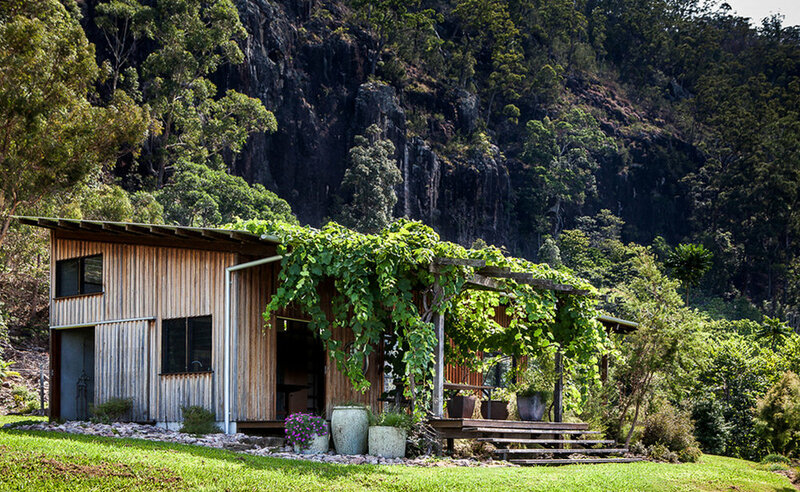 Situated a ten-minute drive west of Mullumbimby, the 21 acre property is beautifully set against an impressive rock face. The cabin is quietly nestled into its environment with views from Byron Bay to Brunswick Heads. Previously a banana plantation, the garden’s design was implemented and overseen by iconic bush regenerator, Ralph Woodford. The five-year project reunited Ralph with his former employer, landscape designer, Paul Thompson, and together a fully realised artistic expression based on a lifetime of experience has emerged. The simple but beautifully constructed cabin is fully equipped with all basic facilities. The cabin contains a 60sqm combined living/kitchen area with a loft space. Artists will need to provide their own food. There is a full bathroom within the cabin. The cabin can accommodate one or two artists. It is not suitable for young children and pets are not permitted. The 42m2 studio is detached from the living space. It contains two work tables and an easel. Artists will need to provide all of their own materials for the duration of their stay. The cabin is “off-grid” – solar powered with a back-up generator. Rainwater is collected in large tanks. There is ample power and hot and cold running water. The kitchen is complete with stove, oven, refrigerator and freezer, and there is a washing machine. A gas heater is available for the cooler months and all bedding and towels will be provided. There is mobile coverage in the cabin and Wi-Fi can be arranged. Please note that the region can be hot and has a wet season and applications are open from the months of April to November for this reason. However, in certain circumstances dates outside of these months may be considered on a case by case basis. There is a one-off administration and service fee of $440; a residency fee of $1200 for the month, and refundable bond of $400 to cover any costs associated with damage or extraordinary cleaning. All fees include GST and are due on confirmation of your successful application. Successful applicants will be responsible for all other costs including food, transport, travel costs, insurance and art materials. There is no stipend or living allowance attached to the stay. The artists may like to consider other ways to fund their visit. Though it is only 10 minutes from the town of Mullumbimby, due to its location artists will need a car for the duration of the residency. Please note that the Byron School of Art does not provide transport and that artists are responsible for making the necessary arrangements. A vital aspect of this residency program is the cultural exchange that occurs between the artist in residence and the BSA community. Suggested interactions are a lecture or artist talk to be delivered to students in the BSA studios; a weekend workshop; studio visit; and a possible exhibition if the Project Space program permits. It is a common experience to come across wildlife during your stay including numerous native birds and wallabies. Applications for the second half of 2019 must be submitted by 31 March 2019. Please note there are a limited number of spaces available, and it is recommended that applications are submitted well in advance. All applicants will be notified in writing of the outcome of their application.